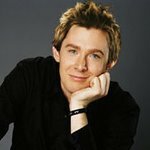 Singer Clay Aiken has just returned from a Christmas spent in flood-ravaged Mexico, where he visited children affected by the country’s worst natural disaster for over a decade. Aiken was accompanied by his mother and brother for the UNICEF trip, and witnessed the devastation and damage in the states of Tabasco and Chiapas. The November floods that that devastated Mexico left more than 700,000 people homeless, about two thirds of whom were children. Almost 70% of Tabasco was underwater during the disaster, and over 300,000 people required rescuing by emergency services. Aiken is no stranger to visiting countries with UNICEF, and has been a UNICEF Ambassador since 2004. In 2005, he toured tsunami-stricken Banda Aceh to highlight the need to restore education to young survivors. This was followed by a trip to Uganda to raise awareness of “Night Commuters” – children who flee the villages and towns every night to sleep in shelters in order to avoid kidnapping by the Lord’s Resistance Army. In 2006, Aiken was given the chance to sit on a committee that acts in an advisory capacity to the Department of Health and Human Services on people who suffer from intellectual disabilities. 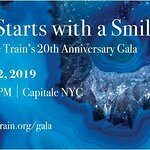 He followed this in 2007 with another UNICEF trip, this time to Afghanistan, where he launched the “$100,000 in 10 Days” campaign – a campaign that eventually raised $180,000 for UNICEF programs in the country. During his recent trip to Mexico, the former American Idol contestant was amazed to witness the reaction of children who ran up to him in the streets and hugged him – not because they knew who Aiken was, but because they recognized the UNICEF shirt he was wearing and knew that he would bring help. “How powerful that is, that kids all around the world know what UNICEF means,” he said. Aiken is also extremely disappointed at the lack of assistance the Mexican people received from the US after the floods. Clay Aiken is currently appearing in the New York production of “Monty Python’s Spamalot”, and also plans to head into the studio soon to record a new album.